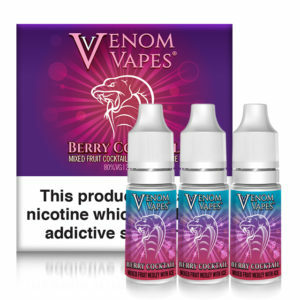 Wholesale Vape Shop at Venom Vapes, The UK's No1 Wholesale eliquids. View this weeks favorite Venom Vapes E-Liquid’s. 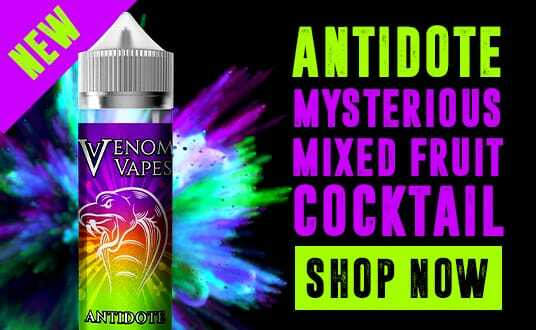 The UK’s No1 Wholesale Vape Shop, based in West Yorkshire, here at Venom Vapes Ltd we are manufacturers of our own blends of high quality & delicious e-cig liquids. All of the products in our online vape shop are handmade in the U.K using the highest quality natural ingredients & we are quality assured by experts in flavour mixology. 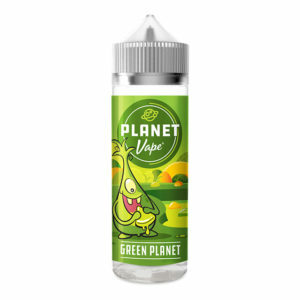 Our online vape shop contains an ever-expanding range of e-liquids, meaning that whether you fancy a taste of apple delight or granny’s pie, our vape shop will have an e-liquid to suit! 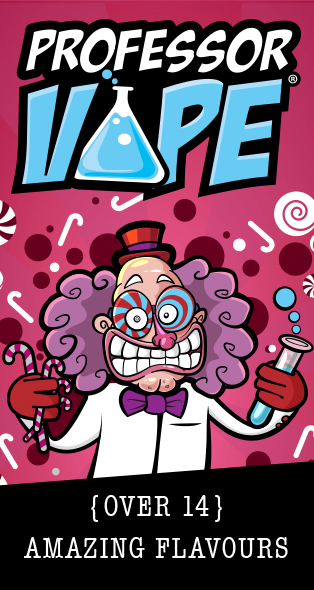 We currently have 15 delicious blends of cloud chasing vaping juices to choose from, all in various nicotine strengths and all available to buy online. 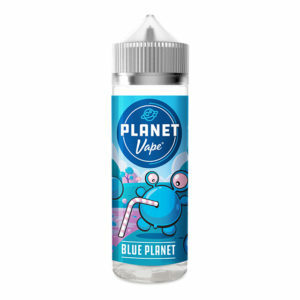 Our liquids are also tested for purity and strength so that you know exactly what you’re vaping and can be assured that it is of excellent quality.